If you’re a fan of the BMW X5 but are looking for something a bit sleeker around Chicago, we have the answer: the BMW X3. Available now at Perillo BMW, the BMW X3 price make this five-passenger luxury compact crossover a smart family or work option. Starting at 248 hp and kicking things up all the way to 355 hp, it’s got plenty of energy for wherever you’re headed. 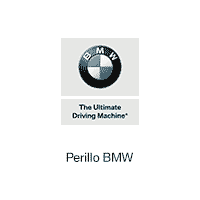 Find the BMW X3 price and trim that fit your needs, then see it in person at Perillo BMW. You probably already know what BMW means, but what does it stand for? The BMW X3 price makes it clear that this is an SUV as much concerned with luxury as value. It gives drivers options instead of loading up features you may not want. A 12-speaker stereo system, premium leatherette upholstery, and the BMW iDrive system are all standard, with upgrades that allow you to personalize this crossover to fit your exact needs. Turn heads around Winnetka behind the wheel of a new BMW X3 from Perillo BMW — schedule your test drive today, or compare the BMW X1 vs. X3 to explore more options!